Standard Technology Wins BBB Torch Award! 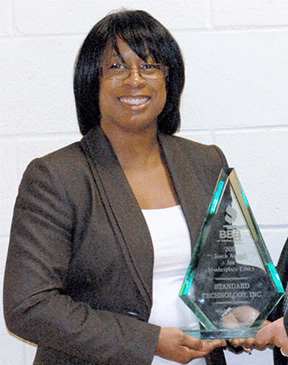 | Standard Technology, Inc.
Standard Technology Wins BBB Torch Award! We are pleased and honored to announce that Standard Technology, Inc. has been given a Torch Award for Marketplace Ethics by the Better Business Bureau of Central Georgia. "The mission of your Better Business Bureau is to be the leader in advancing marketplace trust. The Torch Award is designed to promote not only the importance of ethical business practices, but the willingness and efforts made by outstanding businesses to ensure that our marketplace remains fair and honorable." Standard Technology, Inc. works to make certain that its communication and marketing practices are congruent with the company’s core values: unquestionable integrity, excellent customer service, clear communication, high productivity, proactive self-management, teamwork, relationships, and community investment. We strive to be truthful and transparent in how we market our services, and their unique benefits, to our customers. We wish to present ourselves in the market as authentically as possible, so that we reach the customers who will derive the greatest value from working with us. This benefits the client, Standard Technology, Inc., and our industry in general.